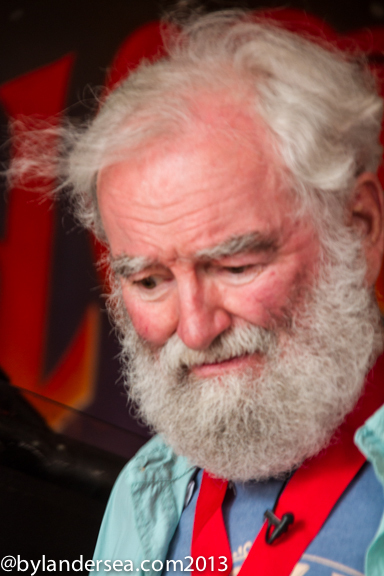 Moore’s poetry inadvertently describes the requirements for contestants in the “Papa” Hemingway Look-Alike Contest. 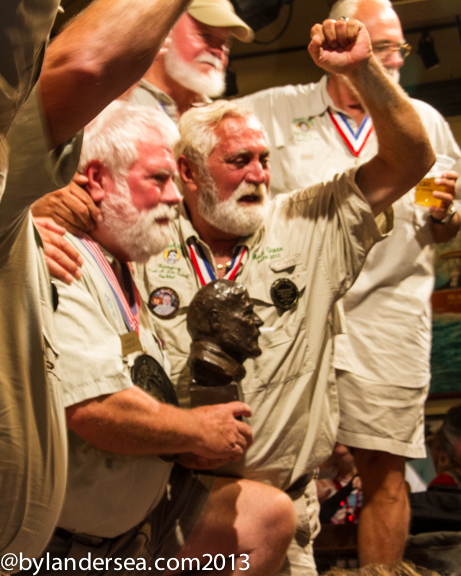 The competition highlights the annual Hemingway Days festival in Key West, Florida, along with a marlin tournament boasting a $250,000 purse and literary short story competition drawing over 1300 entries. From July 16-21, 2013, stocky middle-aged men with whiskers will flock to the isle to compete in a pageant akin to Miss America. Some return on an annual pilgrimage with the understanding that newbies score little chance of securing the coveted title. They line up on stage for preliminary rounds showing off their beards and bellies. Hopefuls also receive a generous minute to display a personal talent- frequently a song, poem, literary reading or comic routine. Last summer I watched as many paraded in khaki sportswear but at least two men wore fisherman knit sweaters resembling a famous portrait of Ernest. That’s diehard dedication in 90 degree heat and humidity! Another dressed as Hurricane Hemingway donning red boxing robes and gloves, but making it difficult for him to grab the microphone. Semi-finalists go on to compete in the finals held Saturday night before a beer-drinking crowd overflowing the doors of Sloppy Joe’s Bar. The Key West watering hole ranks a favorite haunt of Old Hem himself and owner Joe Russell became one of his closest friends. The judge’s panel of past winners also scrutinize the contestants’ congeniality during activities like the whimsical “Running of the Bulls.” This quirky event satirizes Ernest Hemingway’s love of Spain and the bullfight. 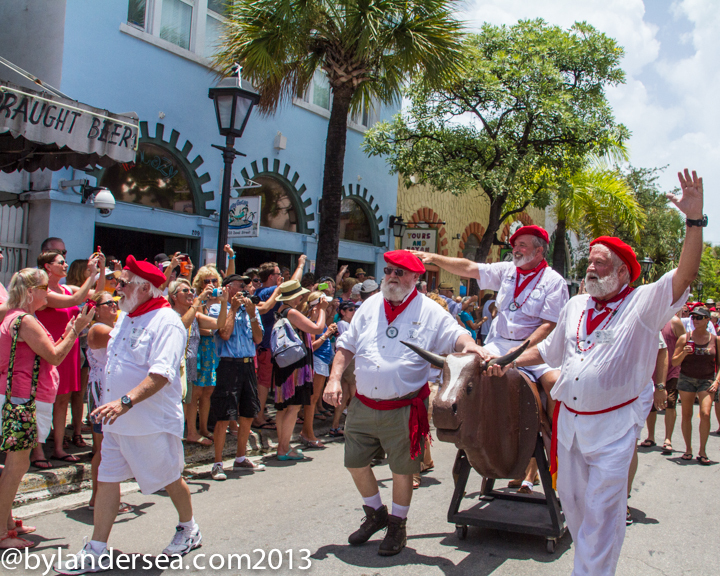 Look-alikes pull wooden hobbyhorse bulls through the streets of downtown Key West instead of Pamplona. No one mentions the fact that the Nobel Prize winning writer was actually a young man when he lived in Key West during the 1930’s. Seems that older contestants fare better than those in their 50’s and no aspiring youths enter. 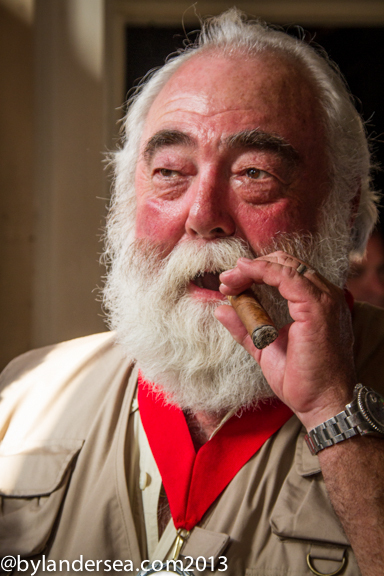 This contest indulges big boys and the Hemingway manly-man lifestyle of hunting, fishing and love of cocktails. During the festival, participants, known as Papa’s, meld into a fraternity of sorts; likewise for their wives called Mama’s. The 2012 semi-finalists included Michael Groover of Savannah, Georgia, who was cheered by his wife, Food Network personality Paula Deen. Deen praised her husband’s Hemingway looks but said he had other equally important qualities in common with the author. “He’s all man, he’s truthful and honest and (has) really got the spirit,” Deen said. 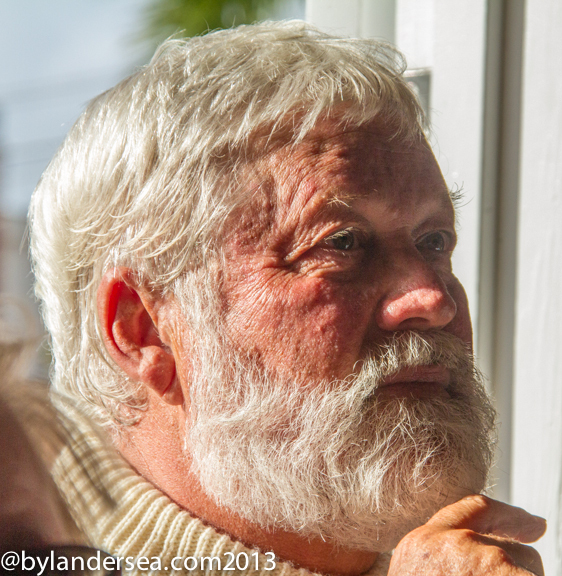 The 2012 winner, Greg Fawcett, a 64-year-old North Carolina investment banker, won after his 10th attempt besting the 139 other Hemingway look-alikes. He credited his victory to establishing camaraderie with the judges, timing his haircuts carefully and paying attention to the length of his beard. Upon hearing the announcement, Fawcett looked to the heavens mouthing a thank you. Like a pageant crowning, he was met with rousing cheers and hugs from fellow contestant. Why, I might have even seen a few tears.